Russian television has broadcast Oliver Stone’s controversial documentary film “Ukraine on Fire,” in which he argues that Ukraine’s “Maidan” uprisings of 2004 and 2014 were the result of political maneuvering by the United States. “We had been counting on the International Monetary Fund [IMF]… But for a whole year we were offered unacceptable options… Russia was the last resort. Russia told us: ‘We are ready to work with you as partners, if you take our interests into consideration,'” says Yanukovych in the film. When protesters seize government buildings, is this acceptable? 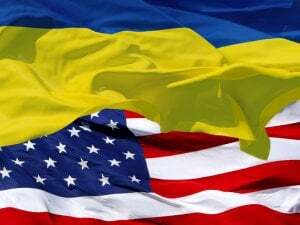 Would it be acceptable if the Ukrainian ambassador had come to the protestors in Ferguson and handed out cookies or accused American policemen? Why was Ukraine treated in this manner?